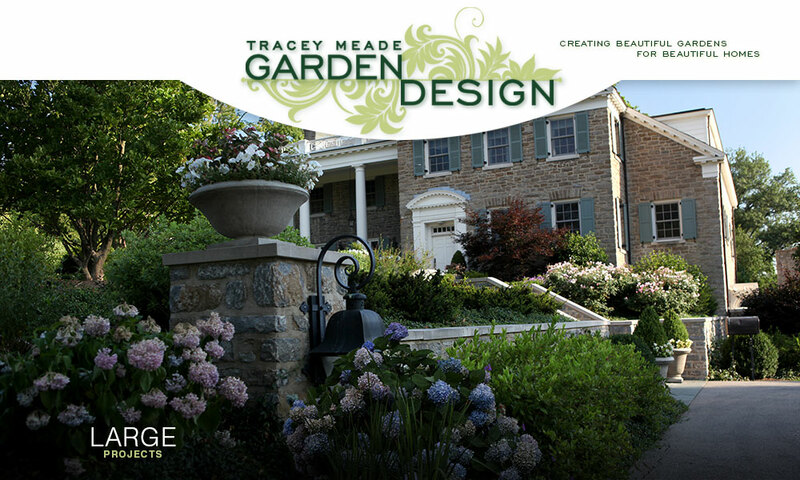 For 25 years, Tracey Meade has been the garden and outdoor living space designer of choice for admired architects in Cincinnati. 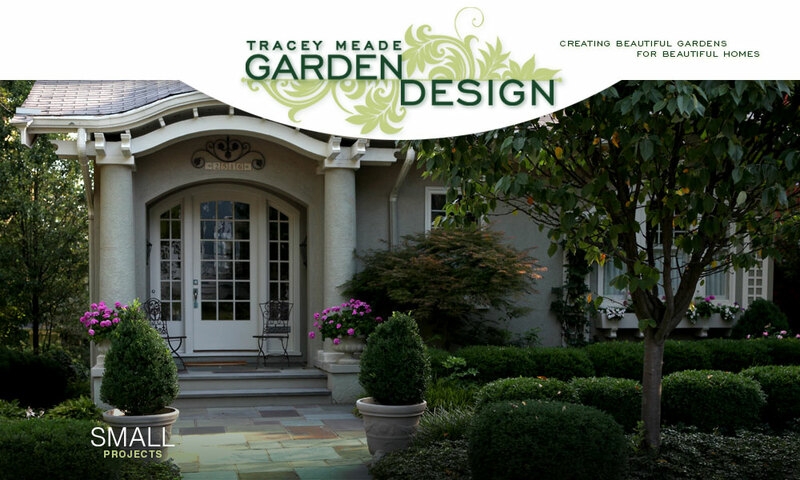 More than a landscaper, Tracey creates one-of-a-kind, custom gardens and outdoor experiences that extend the beauty of a home seamlessly into the outdoors. 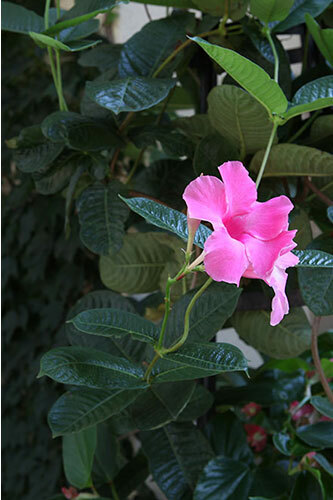 She works for the ongoing joy and appreciation of each client she serves. 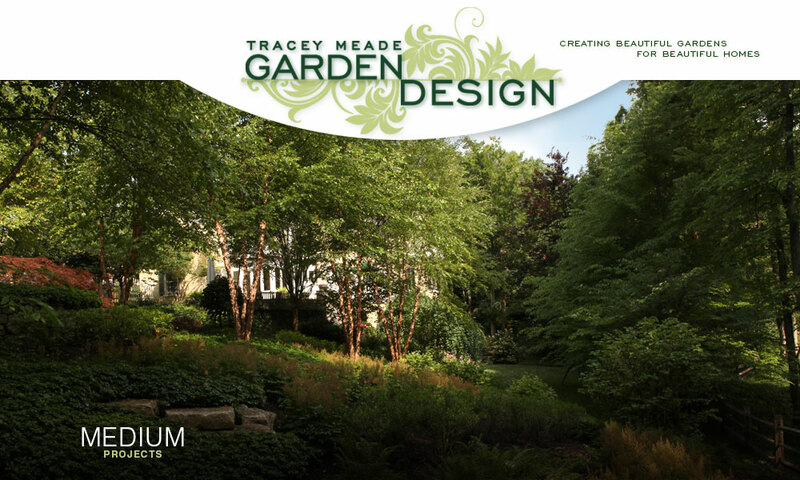 Synthesizing landscape, architecture, and lifestyle, Tracey drafts custom, hand-drawn plans that grow organically from each client’s dreams and needs. 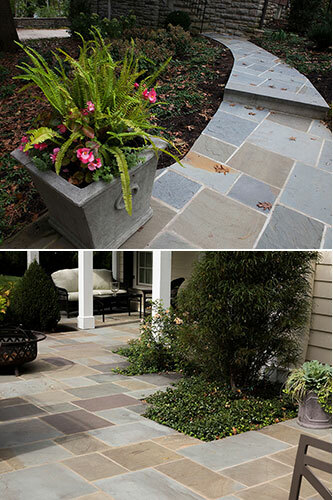 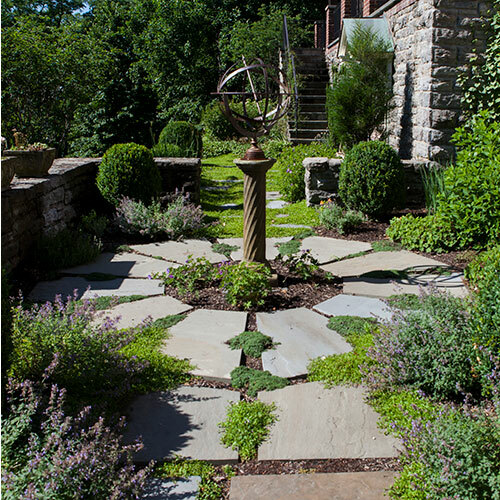 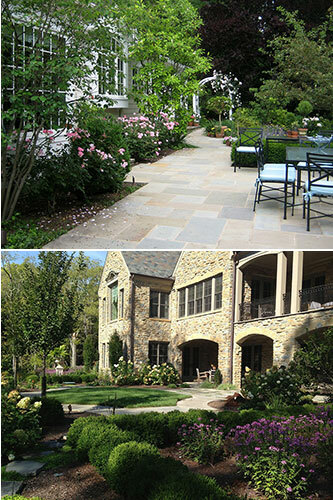 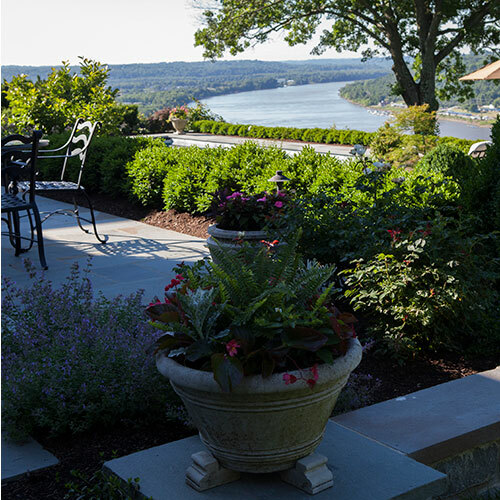 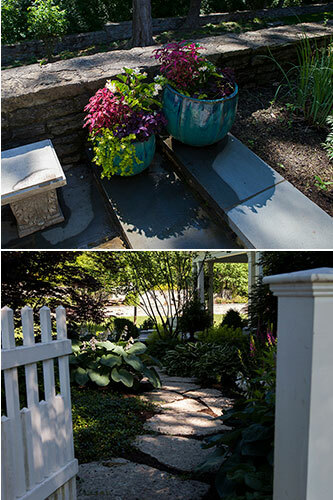 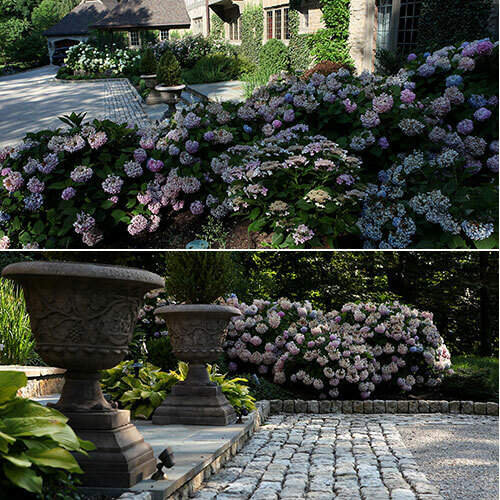 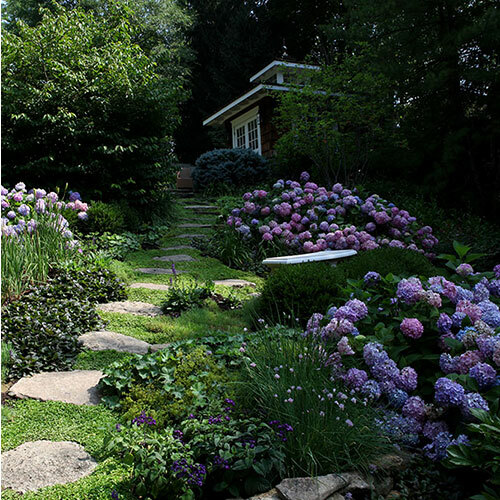 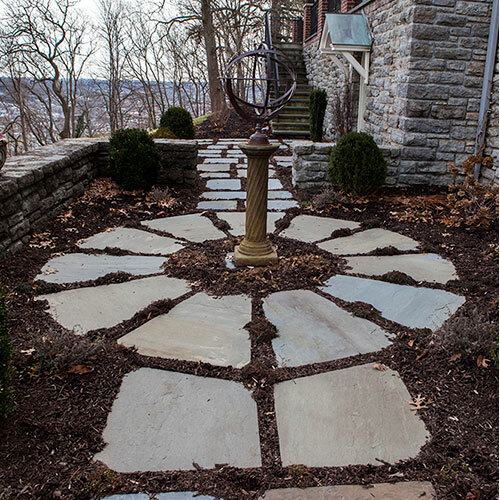 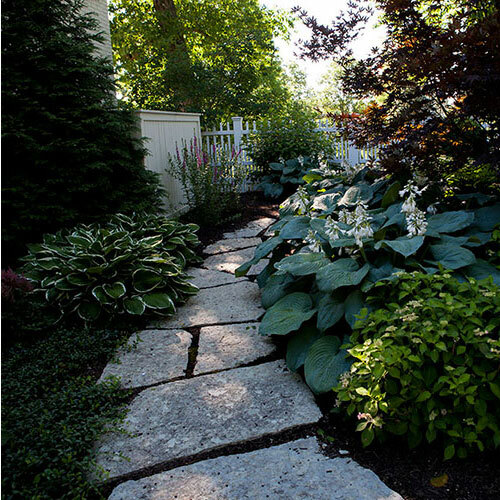 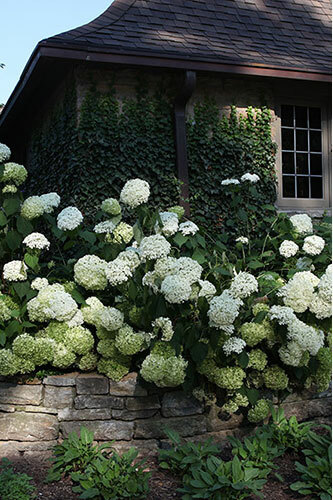 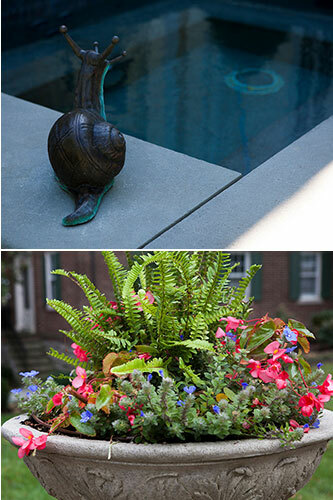 Her beautiful outdoor gardens combine hardscape elements and planting layers with the very best local craftsmanship to elevate the beauty of each home. 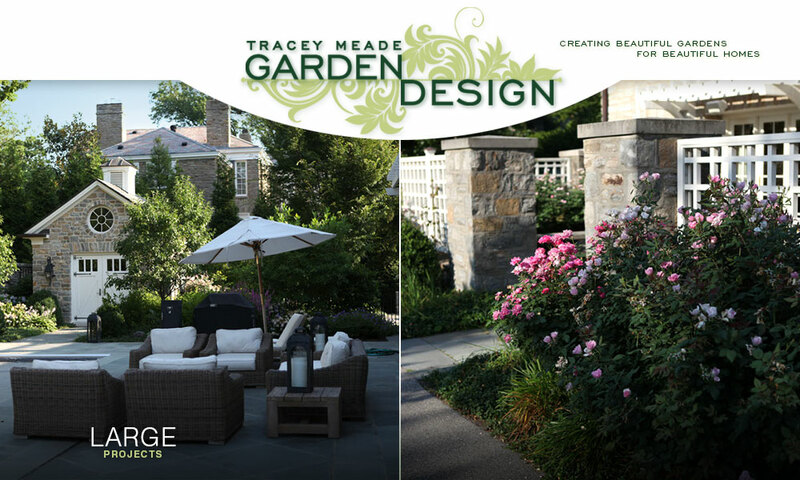 Tracey’s commitment to each client and garden extends over years as she continues to nurture and adapt garden spaces to clients’ changing needs and interests. 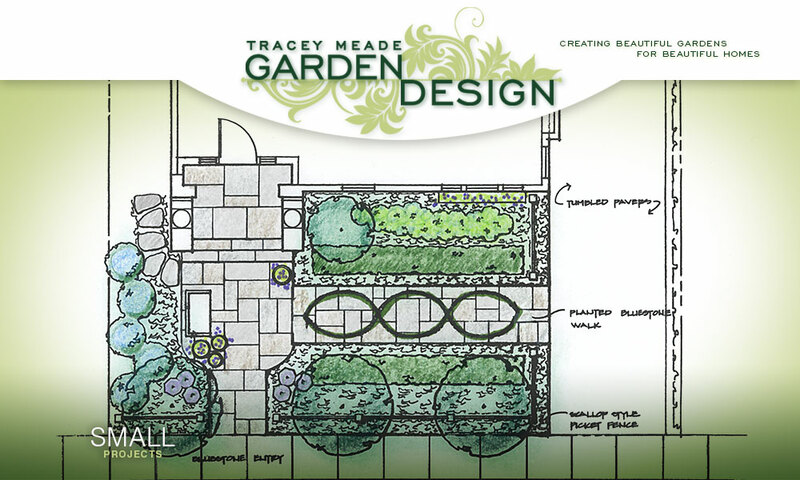 Tracey’s passion is creating beautiful gardens for beautiful homes. 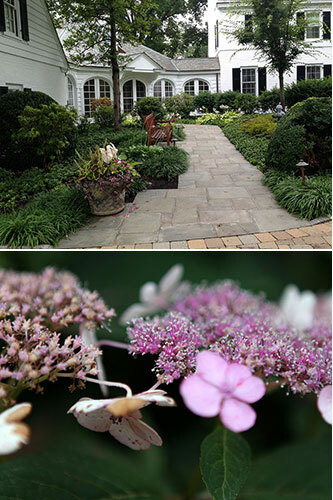 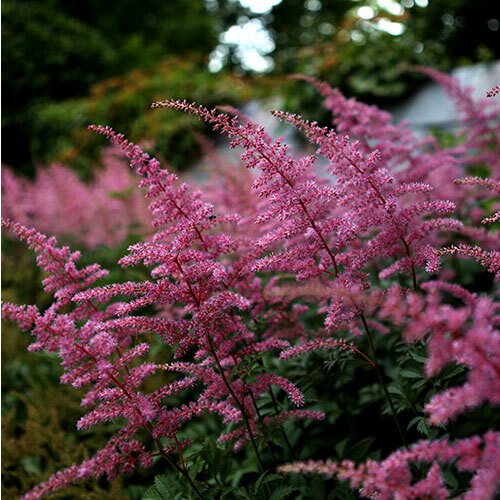 Every garden is a creative partnership that brings beauty, joy and relationships that continue to grow over the years. 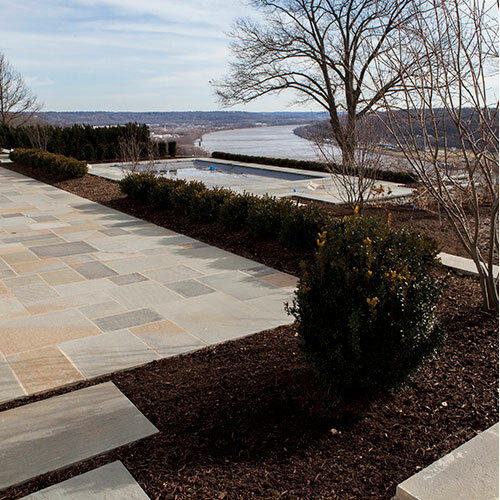 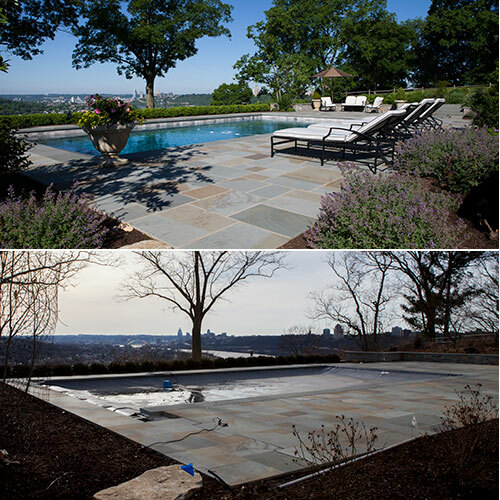 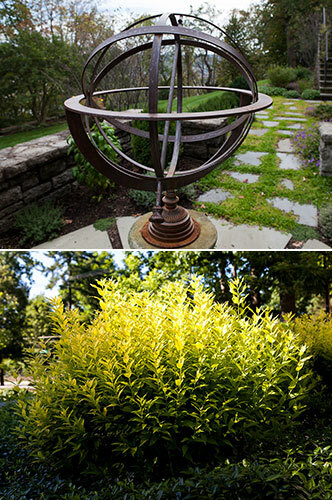 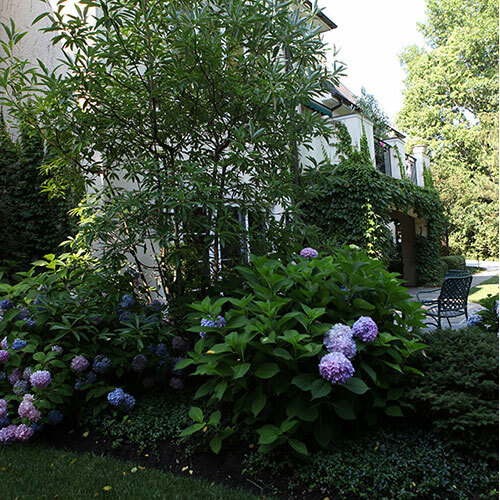 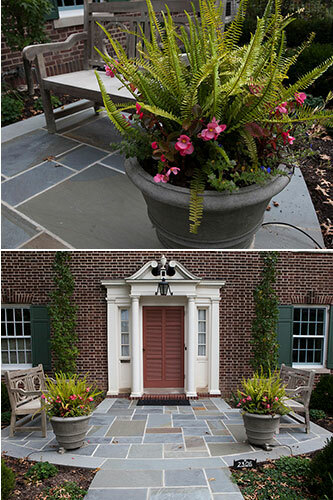 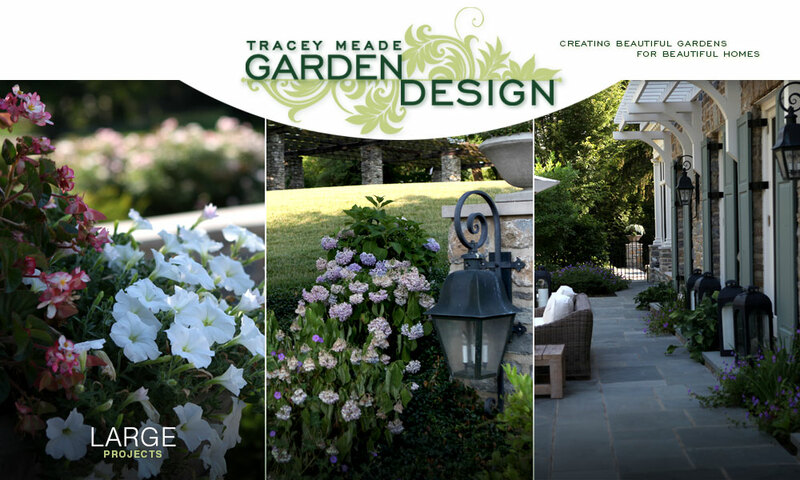 Tracey Meade provides design services as well as project coordination to deliver completed gardens. 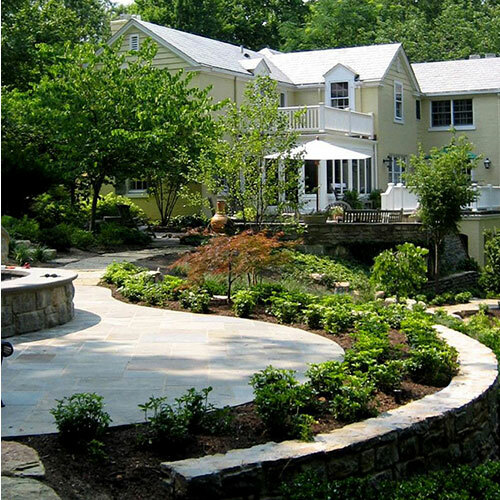 She creates technical drawings and a complete master plan; brings in the very best contractors and craftsmen; and oversees all phases of construction and installation. 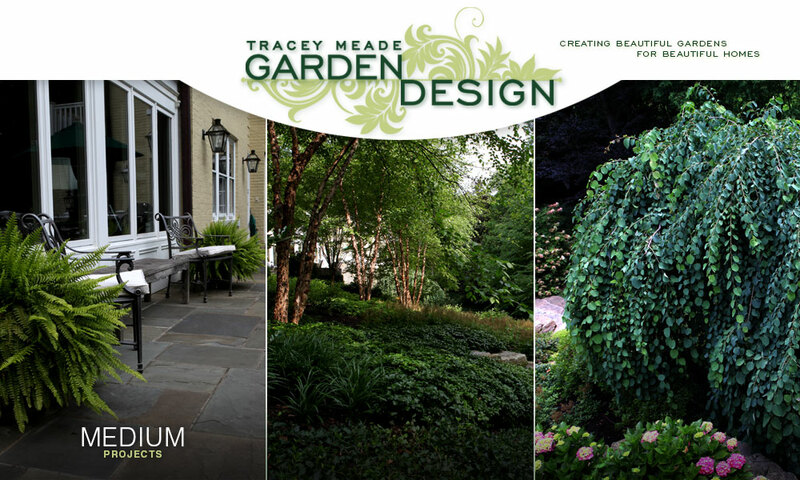 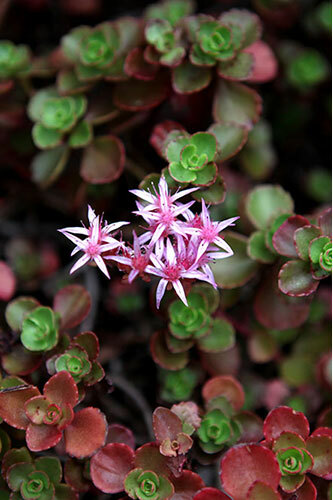 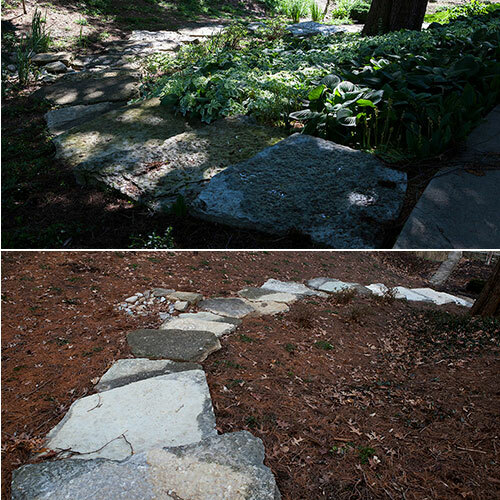 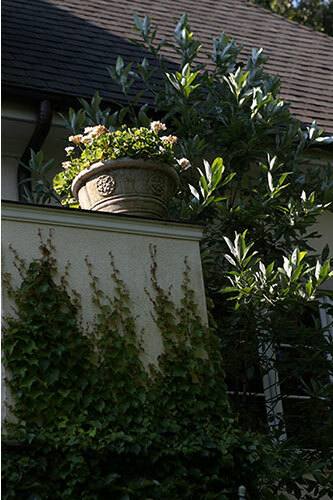 Tracey nurtures client relationships and develops gardens over years so that outdoor spaces grow and change with time. 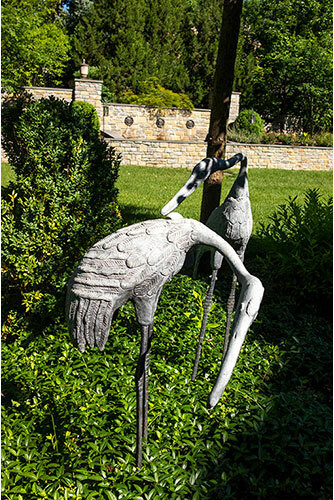 The rhythm of Tracey’s work comes from her relationships with architects, contractors, artisans and clients. 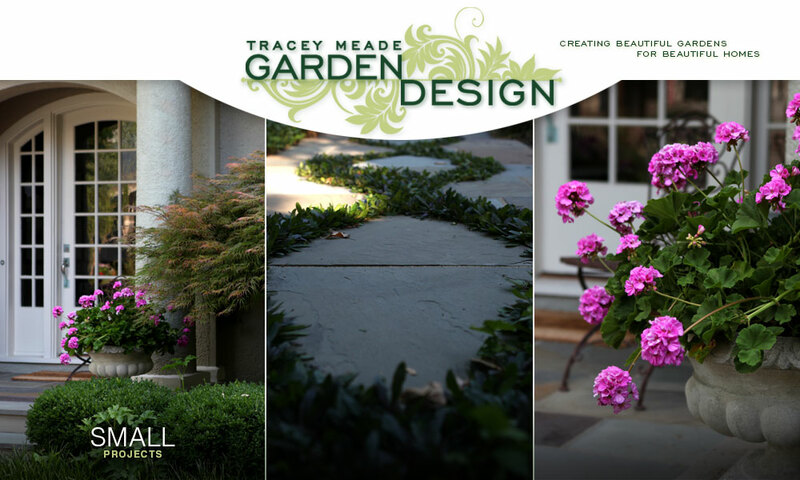 Tracey conducts each aspect of a project, bringing in just the right resources at just the right time, to create a symphony of beauty and grace. 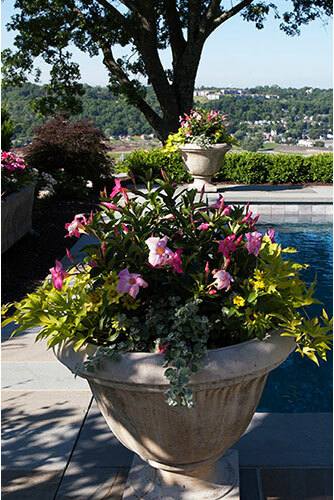 Every design decision—from plantings to architectural features, from pool finish to furniture, from fabrics to pots to lighting—is carefully considered and executed to deliver a stunning and complete garden. 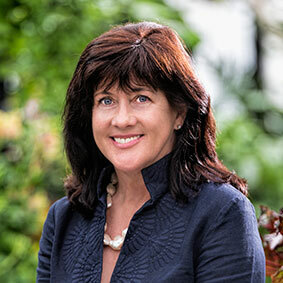 Ultimately, Tracey is the keeper of the vision, ensuring all the small decisions made along the way come together at the end to realize your dreams. 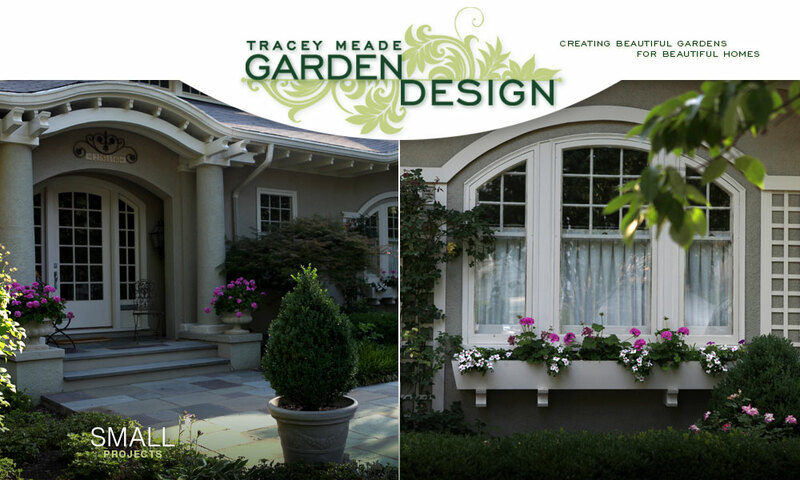 Tracey Meade’s design process begins with her clients. 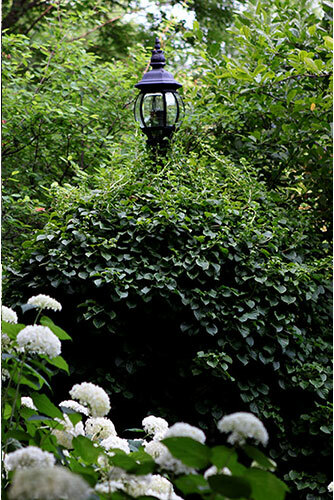 As family needs, goals, and lifestyle are discussed, a shared vision emerges. 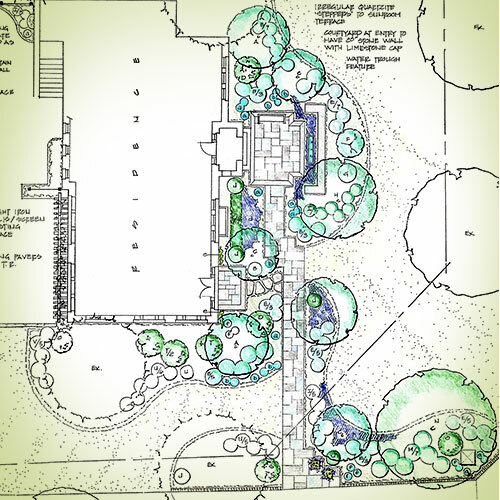 As she meditates on the project and plans, she considers how each client will live in the home, how the garden relates to architecture, and how the garden will serve the family’s needs for quiet time, reflective time, entertaining, celebrating, friends, and family. 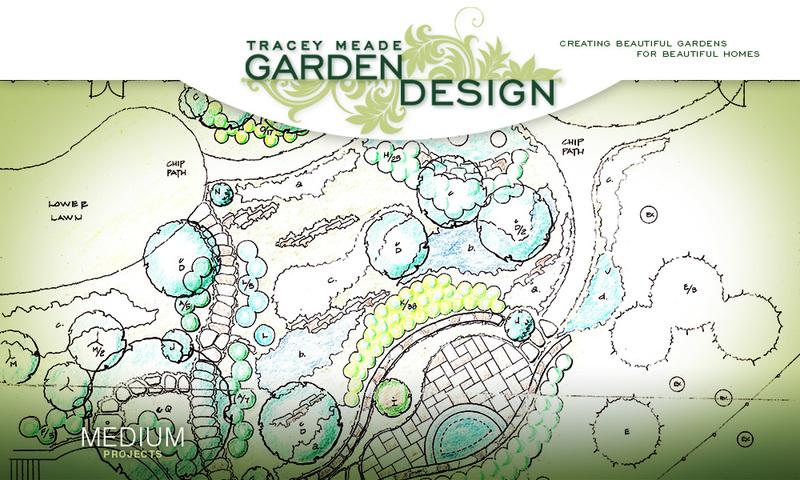 As Tracey puts pencil to paper, she begins to craft the vision, organically envisioning how to approach the space. 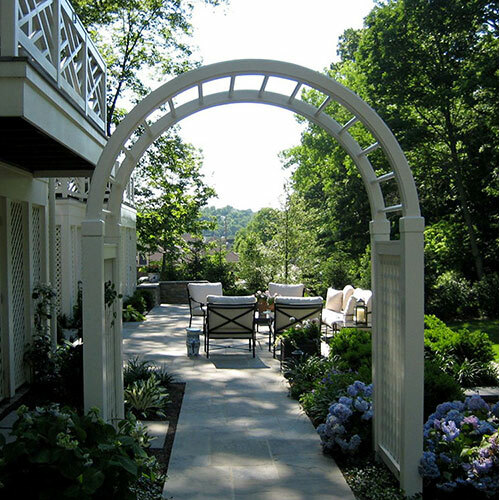 Each detail of the space is considered—what it feels like at the entry way, how it looks from the home, how it feels to move through the space. 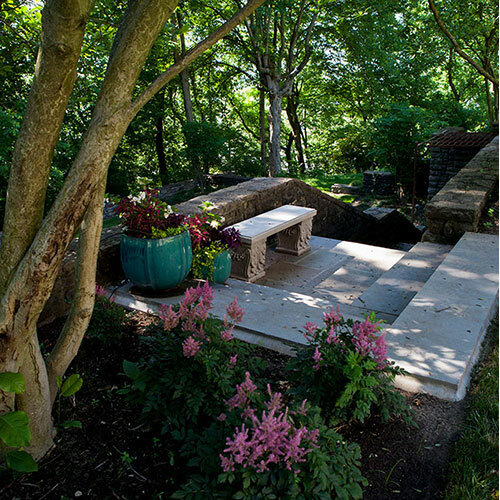 Tracey looks for the hidden gems and opportunities to accentuate the authentic beauty of the site as well as the architecture. 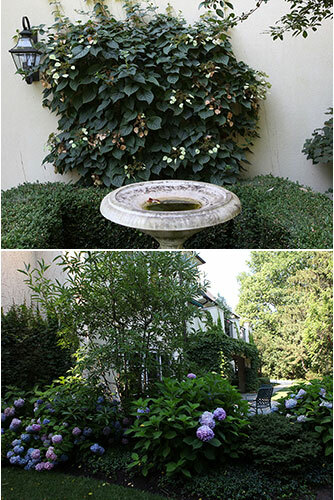 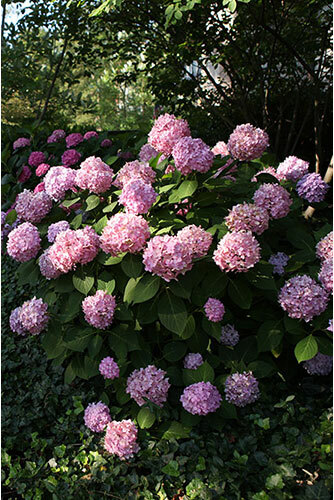 The result is a garden that nestles into and around the home. 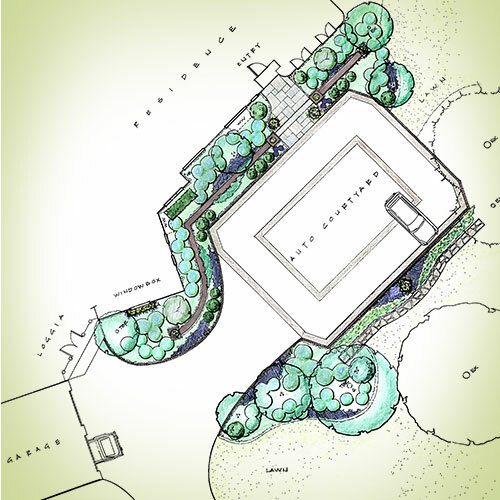 From paper and pencil dreaming, the design emerges. 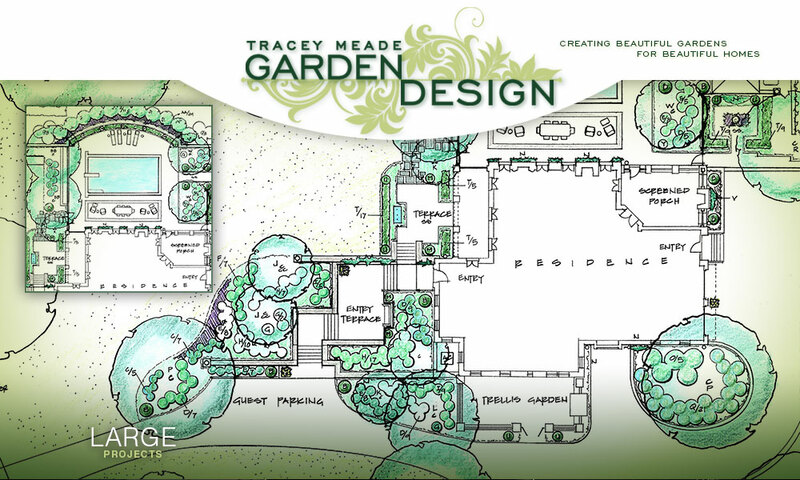 Tracey creates the project scope and offers preliminary schematic designs with alternative choices for her clients. 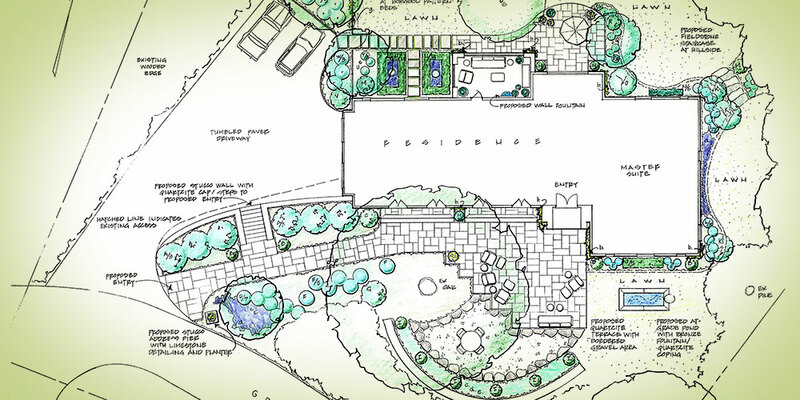 From design development, to structure and detailed design, she bids out all needed work, puts together a complete budget and schedule, and goes to work bring the very best resources together to execute the dream. 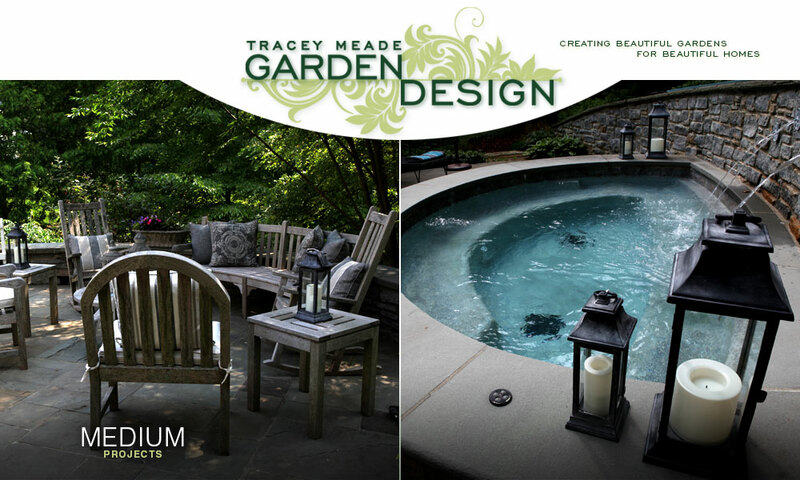 Tracey Meade works with a community of craftsmen, artisans, and contractors who represent the best Cincinnati has to offer. 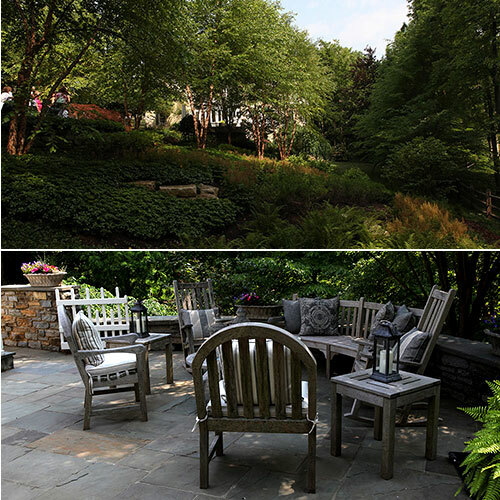 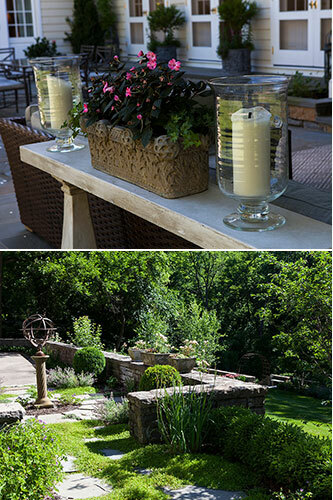 Through these trusted relationships forged over years, Tracey brings together elements of fine craftsmanship and unique beauty to create stunning, personalized outdoor living spaces. 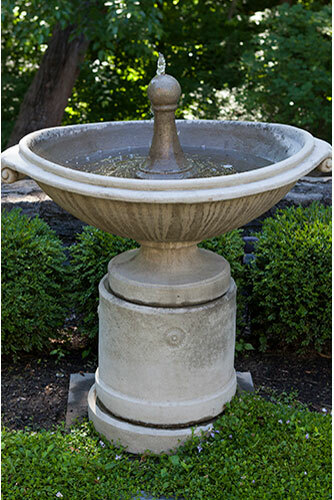 Tracey takes full advantage of the great tradition of local craftsmanship in the city, including metal workers, stone masons, and carpenters. 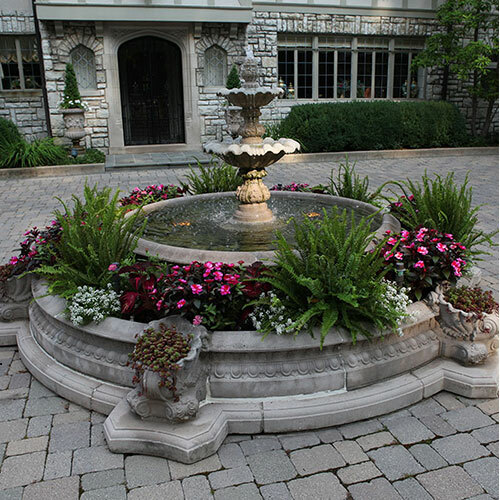 All the very best in their fields, they create one-of-a-kind features such as intricate stonework and patterning, beautiful ironwork, and fine gardening.